During my search for online sites that believe in 'ethical shopping', I came across Guilt Free - an online shop for cruelty free products. After spending some time on the site, I decided that I needed to share about Guilt Free with my readers. So, I got in touch with Fiona Yorke, the founder and director of Guilt Free and put forth some questions to her. Fiona was kind enough to answer my questions and so ladies, please let me introduce to you - Fiona Yorke and Guilt Free! 1. Tell our readers a little bit about yourself. After loving playing 'shops' as a little girl I have always wanted to have my own and sell things that I really love. I am a passionate animal lover and wanted to set up a business that really fits with my values of treating every living thing with love, care and respect - sounds cheesy but to me it's very important. 2. Tell us how you came up with the idea for 'Guilt Free Ethical Shopping'. What was the reason behind setting it up? A few reasons, I am very passionate about animal welfare and believe that those who don't have a voice need others to protect them. None of our products are tested on animals, I don't think for us to look and feel good that we need to be testing on animals. 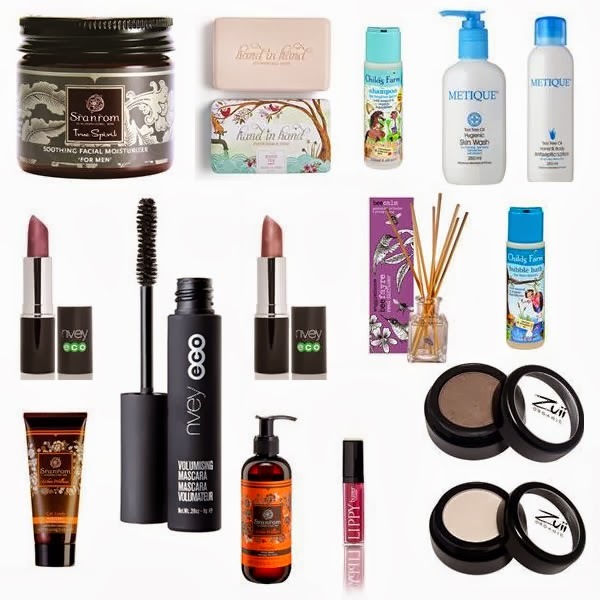 Another reason was that I found it quite difficult to find high quality cruelty free cosmetics, bath products and home fragrance in one place and thought - I can do something about that! The best thing about our products is that many give a % of profits to other good causes such as bee conservation or to help provide sanitation to children in developing countries, it pleases me that we can purchase high quality products and help others. Also, I wanted to share with others fabulous products that really work. Often we get claims that things are organic or natural and then you dig a little deeper and discover that they are full of parabens or artificial fragrance for example and I don't like feeling that a brand has misled me and that I have been 'duped' into buying something that really isn't as natural as it could be. That's why I have a strict policy with suppliers and question them thoroughly on their product content and ingredients before they get to go onto the site. So all my customers can be reassured that we've examined the brand properly. We also have 'Guilt Free at a Glance' on the site for each product which is a quick check to see what the product ethos is, what things they have left out and also the added benefits that the product brings. Also, I have friends whose children have reacted to certain products and were having difficulty finding products for them that wouldn't be harsh or act as an irritant to their child's delicate skin. There are some really great brands that understand this - our Childs Farm and Earth Friendly Baby range go down very well. 3. How has the journey been so far? So far it's been really exciting. We are building our product range (there is so much more I want to sell!) and our customer base and have had lots of fabulous reviews and feedback from our customers. They love our packaging which is a little unusual in that inside the recycled box, products are wrapped in re-cycled tissue and the filling in the box is a maize by- product from a Norfolk farm - it smells like popcorn! You can then use it as bird seed or as pot pourri afterwards! 4. What are the goals for 'Guilt Free' for the future? Well, we will continue to add new fab products - we are just reviewing a new skincare range at the moment with a view to that going onto the site in January. Ultimately, I would like to develop my own 'Guilt Free' range but that's a little way off yet! We also want to grow our men's range too. 5. Any advice for our readers? Check the label on products, don't be fooled into thinking just because something says it is 'natural' that it actually is - in short be reassured and buy Guilt Free! You can head over to Guilt Free's website, to check out the products that they stock and also do join them on Facebook and show some love. PS: This is NOT a sponsored post. I liked the website and am sharing it on my blog for the benefit of the blog readers.